Last year, OSHA, National Institute for Occupational Health and Safety (NIOSH), and the Center for Construction Research and Training (CPWR) joined forces for a national Stand-Down campaign. The campaign focused on preventing construction falls, and nearly 1 million workers participated. This year the campaign has been expanded to two weeks and is set to take place from May 4-15. Even more organizations have joined in the event this year: he American Society of Safety Engineers, National Construction Safety Executives, the U.S. Air Force, the National Safety Council, OSHA-approved state plans, state consultation programs, and OSHA Training Institute Education Centers. Continue reading here. In January, nTelos announced they would be selling up to 103 towers to Grain Management, a private equity firm focused on investments in the media and communications sector. The first part of the tower sale closed earlier this week with 85 towers sold for $35 million. nTelos has access to reserve capacity on the leased towers for future use, according to the agreement. On August 14, 2014, a 49-year-old tower worker fell nine stories to his death while painting a communications tower near Stockton, Illinois. OSHA believes the fatality occurred because the man’s employer, Sherwood Tower Service, did not provide an adequate fall protection system while he was working on the tower. They have cited the company for two willful and one serious safety violation. OSHA has also placed Sherwood Tower in its Severe Violator Enforcement program. 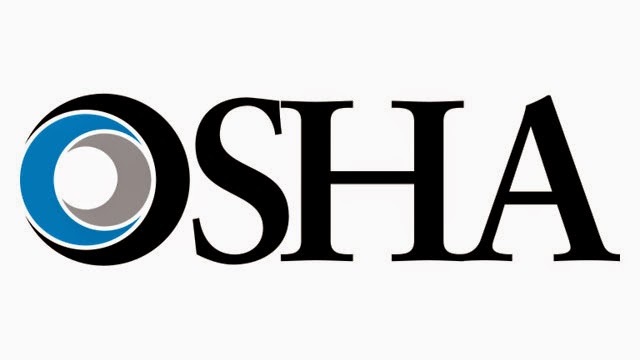 OSHA has proposed penalties of $114,800 for the company, based in Terre Haute, Indiana. Continue reading here. Even though summer seems so far away, it will be here before we know it. America Movil’s planned spinoff of cell towers in Mexico into a new company will be up and running by May or June of this year, Reuters reported. “We are very advanced in the tower spinoff process,” Chief Executive Daniel Hajj said in a conference call. 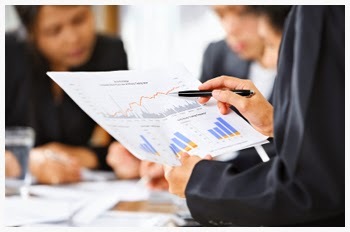 The plan will be presented to shareholders in April and hopefully working by May or June of this year, he said. (Reuters) The new company will have 11,000 sites, but Hajj noted he was worried the new company would be considered preponderant in the market and subject to tougher regulations. Continue reading here. The FCC has imposed a penalty of $20,000 against General Communications Inc., a former tower owner of an antenna structure in Fairbanks, Alaska, for failing to monitor and exhibit the required lighting on the structure and not notifying the FAA of the outage. The FCC explained, “GCI does not deny the violations, but requests that we reduce the proposed forfeiture because of its good faith efforts to correct the lighting issues, which we deny given that GCI’s corrective actions were taken after being notified of the light outage by FCC agents. After reviewing GCI’s response to the NAL [Notice of Apparent Liability], we find no reason to cancel, withdraw, or reduce the proposed penalty, and therefore we assess the $20,000 forfeiture the Bureau previously proposed.” On September 12 and 13, 2012, FCC agents observed that the lighting required for aircraft safety was unlit during daytime hours. Continue reading here. With Verizon selling off both their wireless and tower assets last week, some investors feel that a deal with Dish Network is off the table. However, Miriam Gottfried of The Wall Street Journal isn’t so sure that’s the case. Verizon announced they would use $5 billion of the after-tax proceeds from the sale to buy back shares, and devote the rest, about $6.8 billion, to pay off the debt related to its spectrum purchases in the AWS-3 auction. “To further bolster its competitive position in that business, the carrier likely still needs to buy more spectrum to bring its capacity per subscriber in line with rivals. And Dish controls one of the largest unused blocks,” Gottfried wrote. Continue reading here. American Tower is suing the town of Lowell, North Carolina, after the city denied a permit for a 160-foot tower. American Tower claims that the city had no legitimate reason to deny the permit, so they are asking the court to overturn the town’s decision. The tower would be placed in a residential neighborhood, and was one of new four towers planned for the city. Lowell Mayor Larry Simonds was a vocal opponent of the tower and feels it would be an eyesore and decrease the property values of nearby homes. The tower was denied on October 17, and American Tower filed the lawsuit on November 14 stating there wasn’t substantial evidence to deny the tower. Spencer Kurn and Jonathan Chaplin of New Street Research said, “We are downgrading AMT to Neutral on the heels of the VZ Tower transaction. We were cautious on the terms of the deal last night, and we didn’t learn anything on the conference call today that would change our view. In fact, the transaction appears modestly worse than we initially expected (the buyout after 28 years is larger than we expected and SG&A is higher than we expected) and we are lowering our target to $107.” Continue reading here. 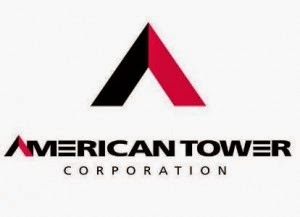 Yesterday evening after market close, American Tower announced that they had entered into a definitive agreement with Verizon Communications to acquire rights to approximately 11,324 communications towers, and purchase 165 additional towers for $5.056 billion in cash at closing. American Tower will have the exclusive right to lease and operate the towers for approximately 28 years. After the term of the lease, American Tower will have the option to acquire the towers based on their anticipated fair market values. Before the announcement, American Tower had approximately 28,000 towers. This acquisition will bring their total number of towers in the United States to a little over 40,000. According to the company, “Verizon’s tower portfolio, in combination with American Tower’s legacy footprint, will establish the largest wireless communications real estate portfolio in the United States with over 40,000 tower sites. This transaction expands and strengthens American Tower’s relationships with major U.S. wireless operators, and 85% of pro forma domestic rental and management revenue will be generated by the Big Four U.S. carriers.” Continue reading here. 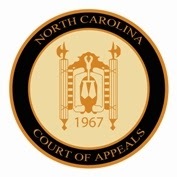 In Durham, North Carolina, three judges of the North Carolina Court of Appeals have refused to block the construction of the proposed Sprint cell tower. The judges issued their ruling on Tuesday upsetting eight homeowners who believe the tower’s height will make it distinguishable as a tower instead of the tree it will be concealed as. Durham law demands that cell towers placed in residential areas be disguised for aesthetic appeal. Judge Linda Stephens, who was on the panel that review the case, wants to know who the tower will be identifiable to. Of course, the homeowners who know what it is will be aware of the structure, but a passerby may not even notice it. Continue reading here. The announcement that Verizon was selling close to $15 billion in tower and wireline assets wasn’t a huge surprise. However, the huge question that surrounds the deal is, “who are the buyers?” Analysts at Macquarie believe that the $6 billion tab for the tower sale will likely be picked up by Crown Castle or American Tower. “However, we struggle to believe that there are strategic buyers for non-Acela corridor wireline assets that would make up the deficit between tower sales and the $15 billion reported figure,” Kevin Smithen and Will Clayton of Macquarie explained. Continue reading here. Verizon is close to selling a $10 billion package of assets that would include cell towers and part of its wireline business, The Wall Street Journal reported, citing people familiar with the matter. The deals will involve different buyers, and could be announced as soon as later this week. After the spectrum auction, where Verizon dropped $10.4 billion, the company is looking to pay down their debt and cover the cost of the spectrum. “Verizon, the country’s largest wireless carrier, took on a massive debt load to complete its $130 billion buyout of Vodafone Group PLC’s 45% stake in their U.S. wireless joint venture. Continue reading here. This auction raised (in net bids) a total of $41,329,673,325, with 31 winning bidders winning a total of 1,611 licenses. Walter Piecyk, technology, media, and telecom analyst at BTIG noted that the two bidders associated with Dish were Northstar and SNR, which bid the $13.3 billion, but they will get a 25% discount as designated small business entity bringing their total to $10 billion. Dish did not win any licenses itself, but rather entered into the joint budding agreements with the two companies. Continue reading here.